South of Manila is the province of Batangas, a business destination on the rise. 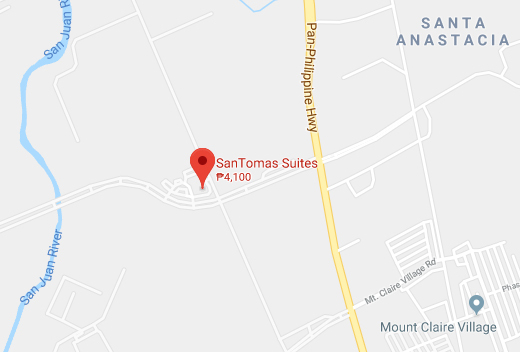 And there’s no finer address in this area than SanTomas Suites in Sto. Tomas, Batangas, Philippines. Located right in First Philippine Industrial Park (FPIP), one of the top industrial parks in the country, it is only minutes from various manufacturing facilities of multinational companies. These include the only B/E Aerospace plant outside the United States and Europe. Despite being in an industrial park, the Batangas hotel is surrounded by greenery and boasts an amazing view, with Mount Makiling in the distance. 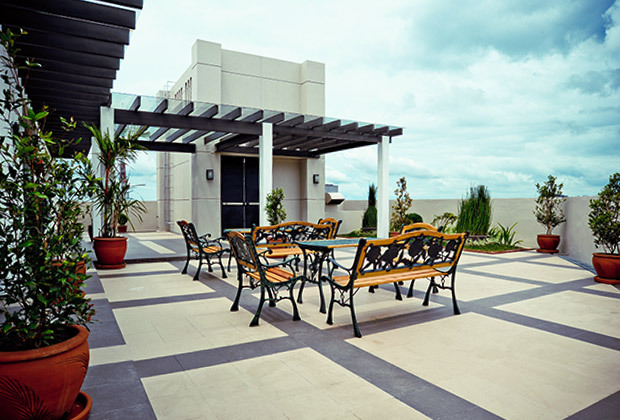 Recreational facilities, such as The Oasis Gym and Ayala Greenfield Golf Course, are also close by. And it is not just all about proximity, as SanTomas Suites is not your run-of-the-mill business hotel with standard facilities. Operated by Paramount Hotels, which manages Microtel Philippines, it delivers what guests can call an executive experience. This simply means you get all the conveniences of a luxury hotel at international standards, but with the comforts of home, and all made possible through its friendly, heartfelt service. At any of the Premium Suites, it won’t be simply a stay at a hotel in Sto. Tomas, Batangas. Elegantly designed with accents in warm colors, the suites are equipped with a wide range of amenities to make you feel at home. These include high-speed Internet access, LCD TV with cable channels, a kitchenette with mini-bar refrigerator and microwave oven, and more. Spacious enough to comfortably accommodate up to 3 people, each suite is certainly worth more than what you pay for. Of course, it’s not just about the rooms or location. Start the day right with a hearty breakfast at the restaurant, or with an intense workout at the gym. Conduct seminars without a hitch at the function room, which can accommodate up to 100 guests. And get around in style, whether to your meeting or to go sightseeing, with the transportation and shuttle services. At SanTomas Suites, all you need for a productive weekday and a revitalizing weekend is here. With a location inside one of the country’s top industrial parks, 60 km from Manila, our accommodation provides a perfect base for corporate travelers visiting Batangas. The town we call home stands at the junction of several key areas in the region, namely Tanauan City, Talisay, Calamba City, and Los Banos. To reach our address, take the South Luzon Expressway and exit at Sto. Tomas. Then, drive straight for around 5 km and turn right at the gates of FPIP, the home of SanTomas Suites.